The problem is, I don’t know what is classed as ‘good’ behaviour from a toddler. What counts as ‘normal’? I’ve always been of the opinion that children, especially toddlers, aren’t naturally inclined to sit at a table nicely for long periods of time. It’s boring for them. And unless you cut them a bit of slack, let them have the occasional run around, or keep them well entertained, they are going to cry and moan and misbehave out of frustration. It’s not being naughty – it’s just common sense. I try to be as understanding to Pickle’s feelings as I can, but that often means I end up wandering around the pub or restaurant whilst the rest of our dining party eat or chat and I go home feeling like I’ve missed out. Conversely, any time I do spend at the table is spent constantly apologising, because I know not everyone shares my tolerance for tantrums. In all honesty, it means we don’t eat out very much anymore. Not only because it can be expensive, but mainly because it causes more stress and hassle than cooking a meal at home. So, mapping out the restaurants nearby that make that extra effort to ensure the whole family enjoys a meal is very worthwhile! 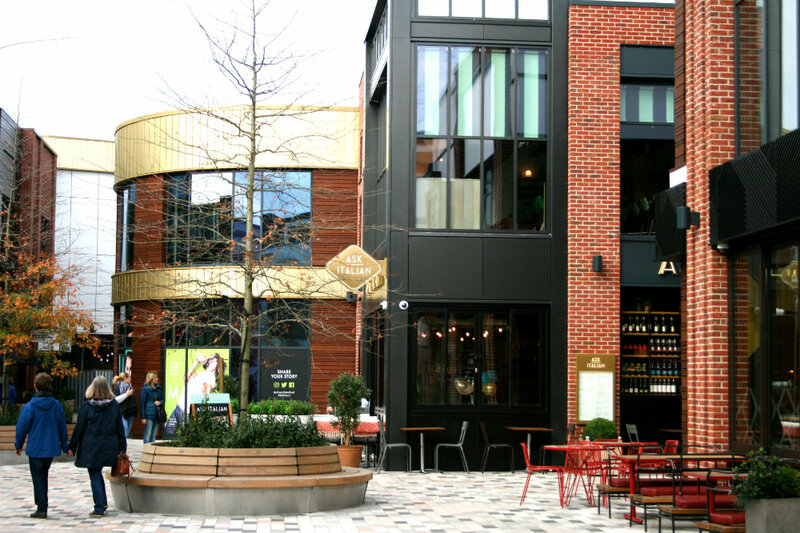 As anyone with children will know, the staff at a restaurant can make or break a family dining experience and thankfully, we couldn’t have asked for better service or a warmer welcome at Ask Italian. They immediately helped me to relax a little more. Pickle was handed a balloon within minutes of us walking through the front door, and by the end of our visit, he was firm friends with the Manager – who took the time to chat to him, and even let Pickle have a play with some pizza dough and showed him how to turn it into a beautifully crafted pizza base. Pretty cute, right? Even if Pickle did try to pick up his dough and cuddle it. That doesn’t mean the meal was without incident though. 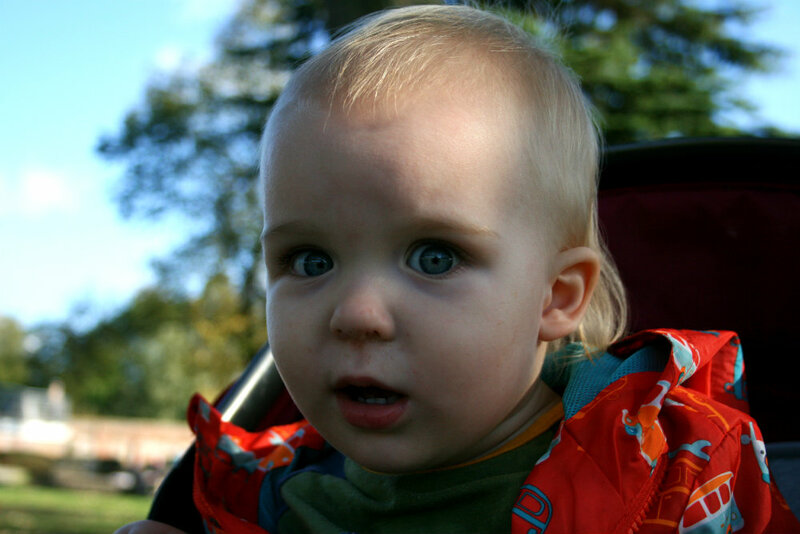 We’d only been there less than ten minutes before he’d picked up, thrown and smashed a little lemonade glass. I was so embarrassed. It was a credit to the team there that they didn’t bat an eyelid and swiftly moved us to a new table so they could clear up the mess without anyone getting hurt but I was mortified. Thankfully, at least the glass was empty so none of the delicious freshly made lemonade went to waste (they make it on site every day!). 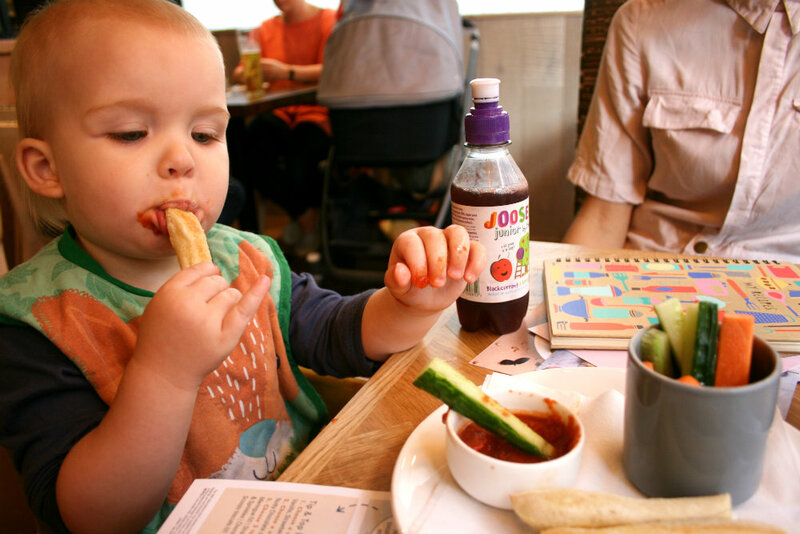 We quickly strapped him into a highchair and before I knew it, a little plate of breadsticks, crudites and a tomato dipping sauce arrived to keep him happy! Phew. Thinking about it, most of the meals that we’ve had out as a family have been Italian. For me, it’s the easiest way to dine out that best reflects how we eat at home. Pickle dived straight in with his cucumber and carrot sticks because it’s such familiar food for him and I’ve never seen him say no to pasta! I’m not ashamed to admit he’s had a fair few baby pizzas in his time, too! It was no surprise then, that when my lunch arrived – he, of course, wanted to try some too. Incidentally, whether you’re a foodie or not, this purple pesto dish is all kinds of amazing. 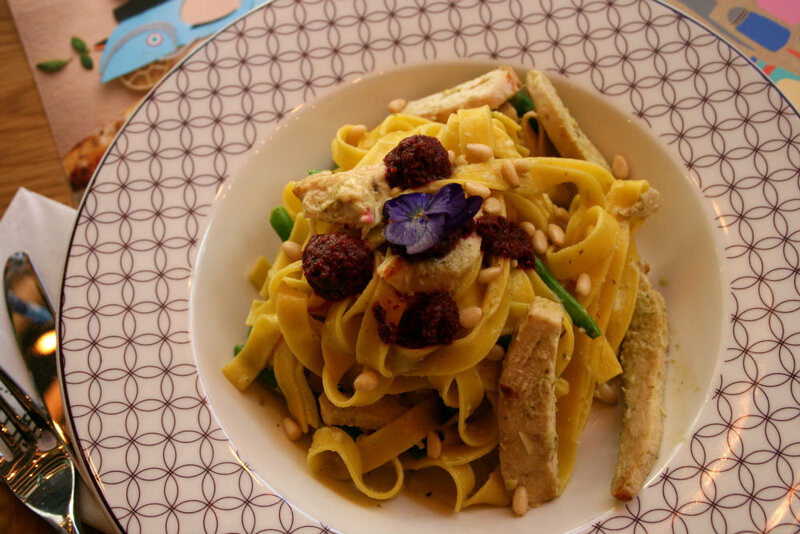 When the team at Ask Italian found out about purple basil, they hunted down a farm that grew it in Verona, enabling their chefs to produce this vibrant, beautiful and wonderfully scrumptious purple pesto dish. I added some chicken to mine too as an optional extra, and I have zero regrets about my menu choice. This is definitely a dish I’d recommend. And whilst I enjoyed my pasta, Pickle tucked into his own pizza, topped with ham and roasted peppers. I really like that you can choose exactly what goes on your child’s pizza. I remembered to take some of our own cutlery for Pickle, but amazingly – Ask Italian has little mini cutlery especially for children. It’s the first restaurant I’ve been to that have offered and it was so thoughtful. WAY better than being offered a teaspoon. 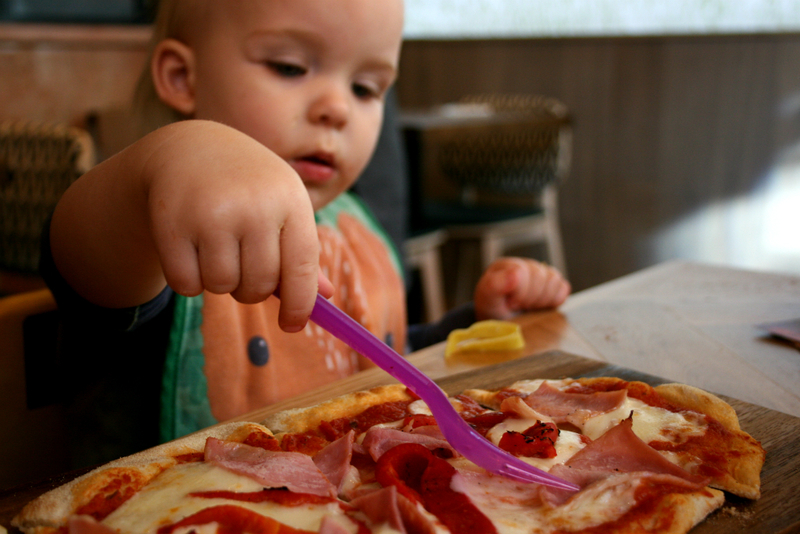 Not that he really needed it with pizza, but I think he just wanted to copy us adults and use his fork like we were. Of course, it wasn’t long before he was chucking it on the floor. And as soon as those ‘windscreen wiper’ arms came out to signify he was finished, we quickly moved his dinner away from him before it became splattered everywhere. 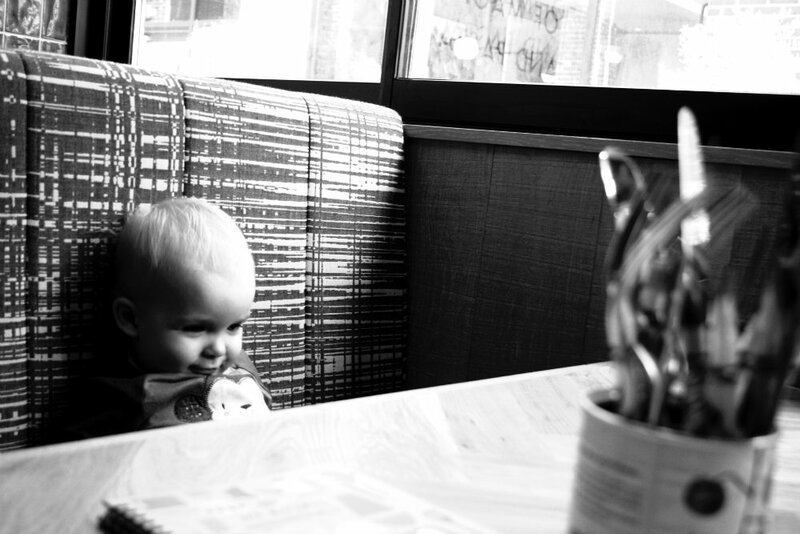 There’s part of me that looks back on our lunch and thinks Oh, he wasn’t too badly behaved really… and yet at the same time, I can’t help but think I should be expecting better from him. He did occupy himself nicely for a while putting the cutlery in and out of the crayon tin. And he didn’t run off when I walked around the restaurant with him a few times to help get rid of some energy before his food was ready. But he did almost spatter another diner’s trousers in tomato sauce. And he caused quite a scene when I tried to put his coat on as we were leaving. I think it all boils down to this… I have more tolerance and patience with him than I ever thought I would. 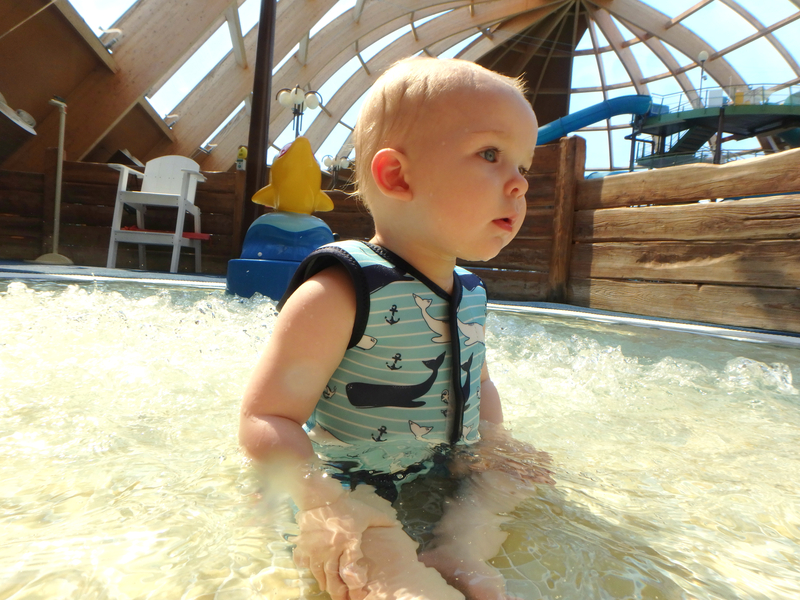 I’m fairly relaxed and not very strict at this age (although, I hope I will be once he gets older and has better understanding and comprehension) and ordinarily, that’s fine. In our own home? Not a problem. 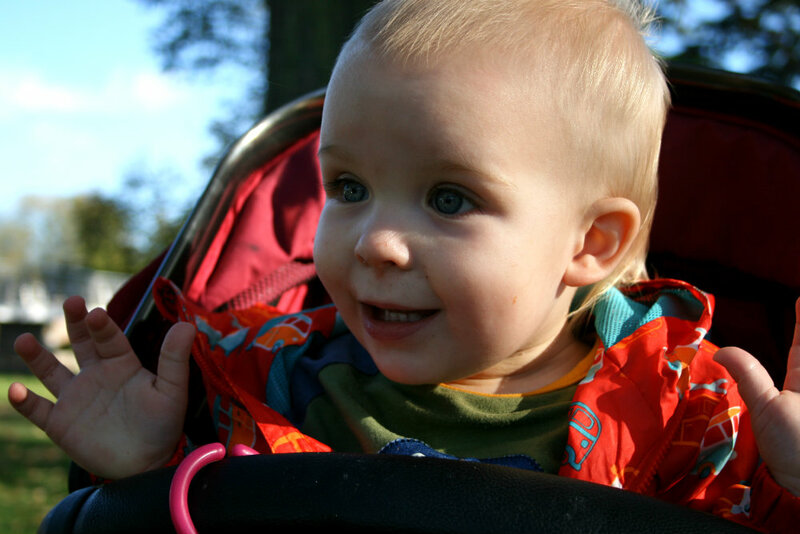 I’m happy to put his needs ahead of my own – because if he’s happy, I’m twice as happy, but when we’re out and about, it’s what other people might think that gets to me. I’ve said it before, and I’ll say it again, parenting doesn’t come with regular appraisals. It’s really difficult to know whether you’re doing a ‘good job’ or not, and often, when you’re out in public, rightly or wrongly, that’s when you look to others to judge how well you’re doing. 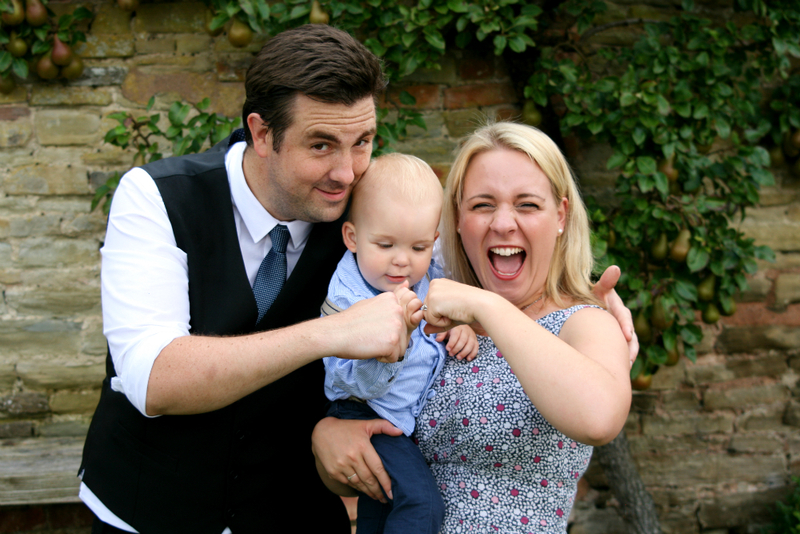 It goes without saying that sometimes you’ll encounter people who support your parenting choices, and sometimes you’ll be surrounded by those that don’t. But having a child that ‘sits nicely at the table’ seems to be one of those yardsticks that we measure ourselves by. And we’re not quite hitting that target at the moment. But, I’m sure we will. One day. Pickle’s behaviour aside, it was a real treat to eat out. And it’s made me realise that I would like to do it a bit more. 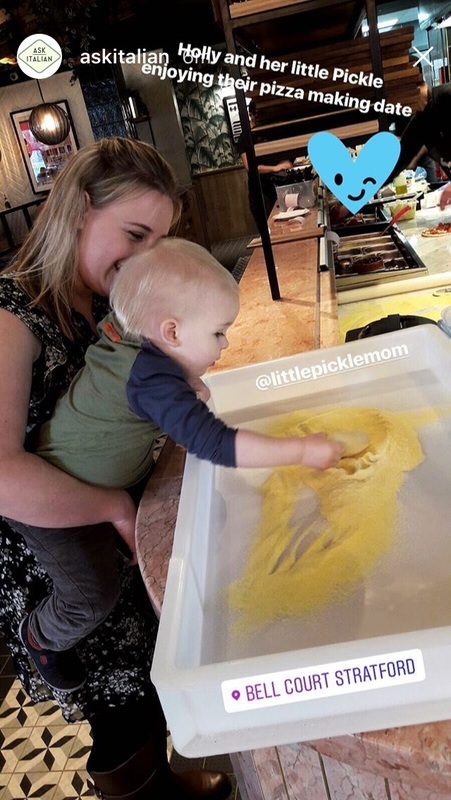 I’m hoping as Pickle gets a bit older, it’ll make it easier but I’m so glad to have found such a family friendly restaurant in the Ask Italian at Bell Court in Stratford-upon-Avon. I’m going to sound like a bit of a weirdo saying this, but for that couple of hours that we spent there – it really felt like I was on holiday. 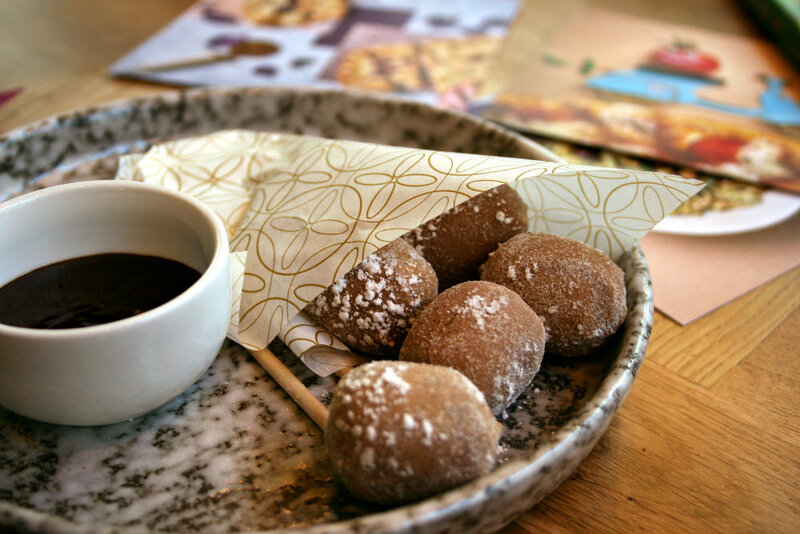 Maybe that’s down to the authenticity of the food, the relaxed atmosphere or the friendly staff that went out of their way to accommodate us, but I definitely felt like we’d experienced a slice of culture – finished off perfectly with a plate of Nutella filled chocolate gnocchi! I owe a big thank you to Ask Italian‘s Laura, who looked after us so patiently and was full of kindness and consideration. It was an absolute pleasure to enjoy our lunch with you. And we’ll definitely be back – although, maybe as a date night for LPD and I next time! 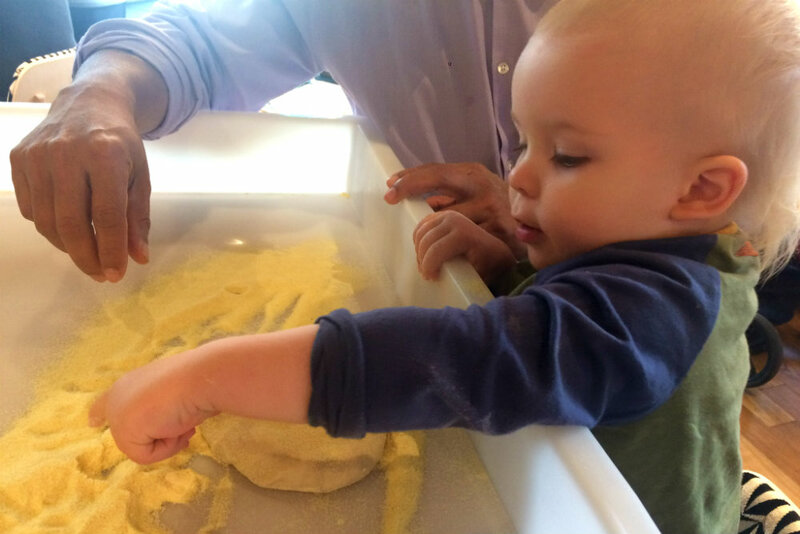 Maybe dining out with a toddler is a bit of a learning curve – and we’ll find our own way of making it work the more we do it. I really hope so, anyway. 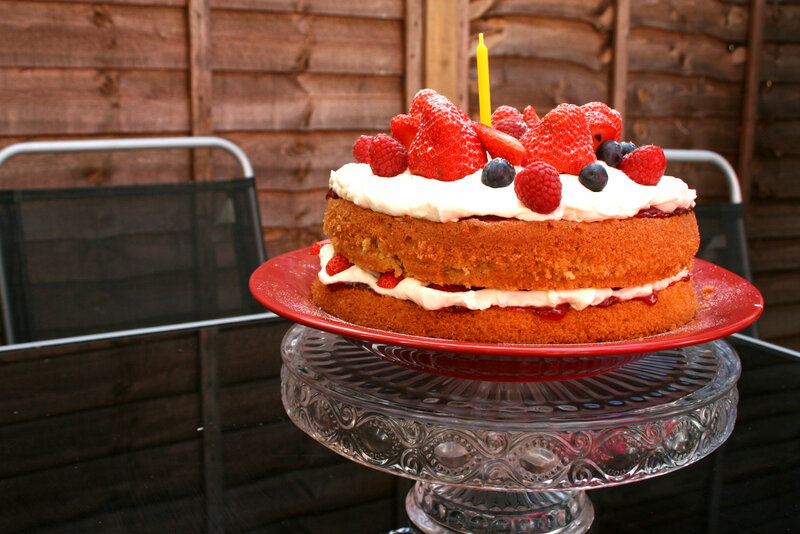 Although, I’ve definitely got open ears for any tips or suggestions that have worked for you that we can try out. 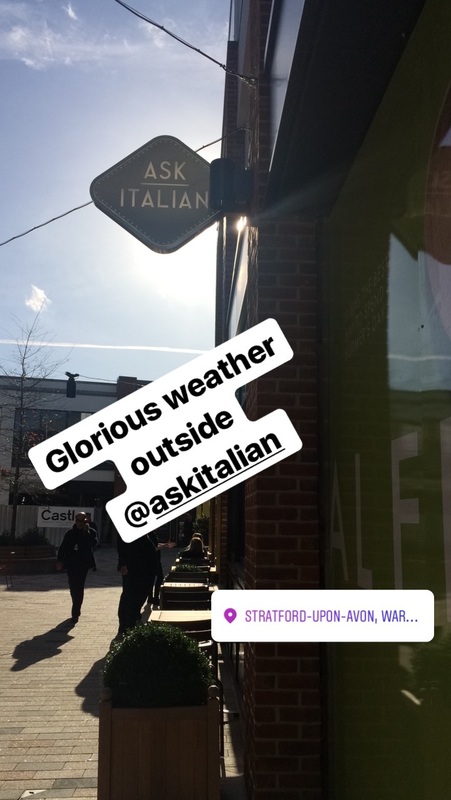 Disclaimer: we were invited to Ask Italian to help celebrate their newly opened Stratford-upon-Avon restaurant. Our meal was complimentary but all opinions remain my own, and as always: 100% honest. Love this! I dread eating out with my 2 toddler boys, but as always the anticipation is usually worse than the event! 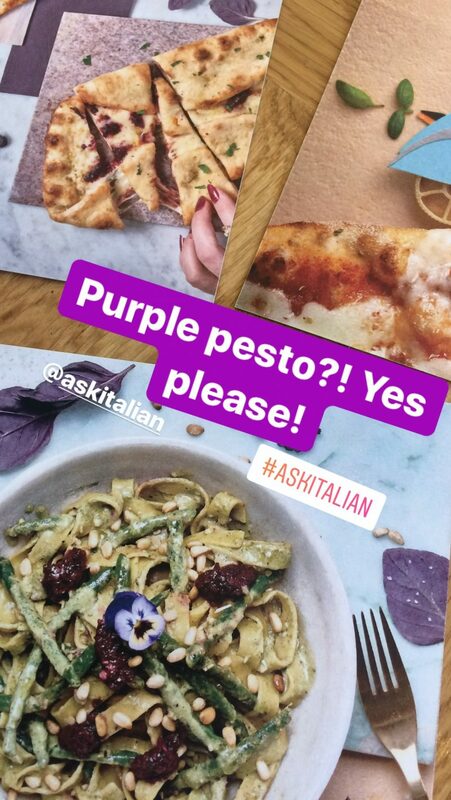 We go to Wagamama’s quite a lot, tried Prezzo lately… will have to try Ask next, looks delicious, love the idea of purple pesto!